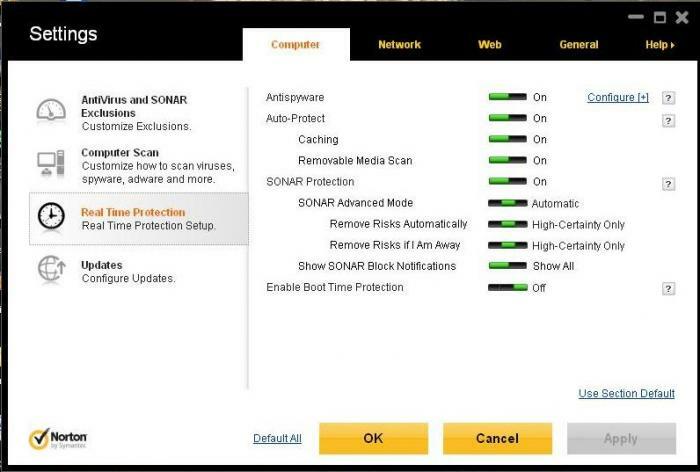 Norton Internet Security is a high-performance security suite with an easy and fast installation, it's also easy to configure and it does not require a system reboot. 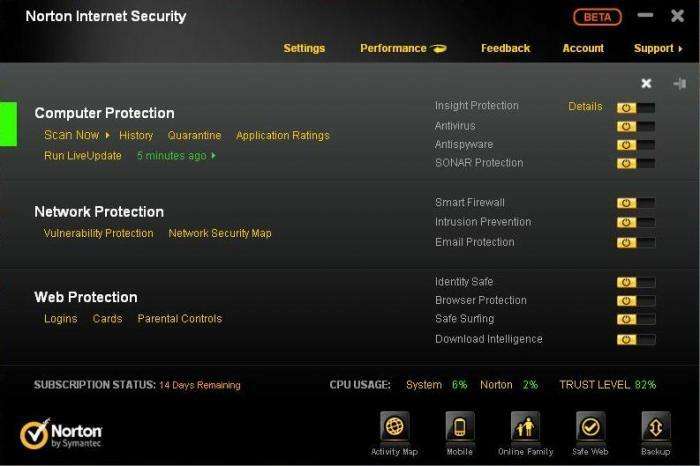 Norton Internet Security 2019 protects your computer from viruses, spyware, spam, and many other types of malware, and it also ensures you of the safety of your online activity, allowing you to surf the Internet, to bank and shop online. - ensures a worry-free PC activity through: firewall protection, bots obstruction, automatic removal of online threats, and it also keeps you away from web attacks. It maintains data confidentiality - so, online shopping or online banking services are effected in a safe environment, you also benefit of passwords and data encryption as well as phishing and keylogers protection. - advanced firewall technology that takes optimal and automatic decisions for your safety. ALso with Norton Internet Security you get secure internet connection (it ensures your home network and keeps you away from public Wi-Fi networks), Parental Control and email surveillance. - Recovery Tool - cleans up your PC from the most intricate threats. It’s a trial software, so you can use it for 30 days before buying the license. OS: Windows XP, Windows Vista, Windows 7, Windows 8, Windows 10. Devoloped by AVG Technologies, AVG Internet Security is a new way of protection for your computer, providing a reliable and complete protection to dismiss malware from your mind. AVG Internet Security 2019 allows you to do internet banking or online shopping or any kind of online activity, in a safe environment without slowing down your computer, and what is great about AVG, is that it improves your computer speed. - It increases the computer speed - reducing to half the time to download videos from YouTube (with AVG Accelerator) and also, allows you to stop unnecessary applications that runs along with Windows startup (with AVG System Tools). - It fights against intrusions - with AVG's features, Enhanced Firewall and Identity Protection, that provides preeminent protection, while you're shopping online, or you’re using internet banking services. 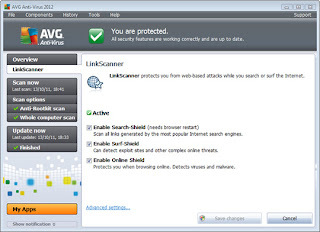 - AVG Internet Security offers anti-malware protection through the following layers: Anti-virus protection (removes even the latest versions of viruses, worms and Trojan horse), anti-spyware (you get rid of spyware and adware), Resident Shield (stops you to open contaminated files). - It offers undisturbed computer activity - through Game Mode and AVG's intelligent scanning - scan is performed when your PC is idle, and takes account of previously scanned files (safe files) which are omitted to optimize scanning time that involves a reduced usage of PC's resources. 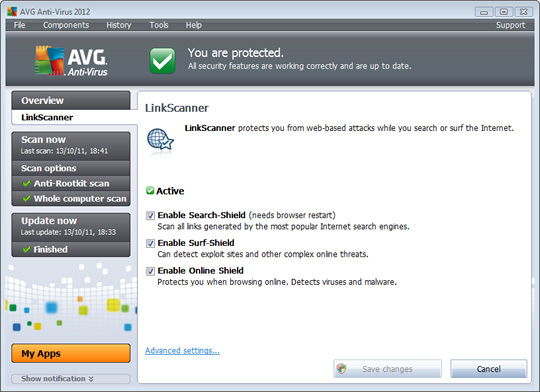 - You are out of danger when surfing on the Internet – AVG prevents you to access malicious sites. - AVG gives you social protection network – keeps an eye on exchanged links on Facebook, Twitter and MySpace. - OS: Windows XP, Windows Vista, Windows 7, Windows 8, Windows 10. AVG Anti-Virus offers extreme protection against any type of malware with multiple layers of protection including a powerful antivirus engine well as other great features. 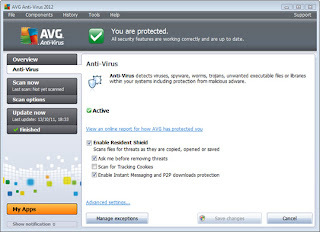 AVG Anti-Virus provides protection against viruses, worms, spyware, guarantees safe downloads, offers web protection and social network protection, all this without slowing down your computer resources. - AVG Resident Shield: watch over your files, stopping malware. - Game Mode – you can play games without scans or updates interruptions. Guarded downloads - oversees your downloads. Safe internet browsing - with AGV's performance technology (through LinkScanner feature), that stops you to access dangerous sites. What's new in AVG Anti-Virus? It improved all its features and now offers a social protection network - that watches over exchanged links on Facebook, Twitter and MySpace. AVG Anti-Virus is a trial software, is limited to 30 days of use, after this period, you have to either buy a license or uninstall the program completely.